The field of Jewish camp has become increasingly aware of and responsive to the numbers of children with special needs and physical disabilities in recent years. 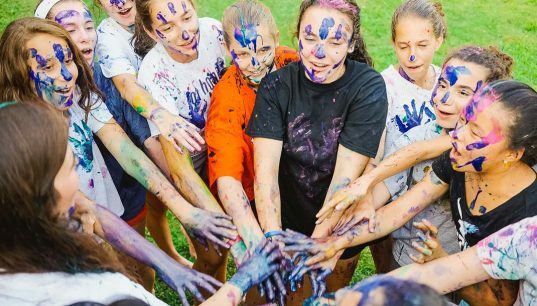 As a first step towards initiating field-wide changes in this arena, Foundation for Jewish Camp (FJC) is engaged in a research project mapping current, potential and desired services available to children with emotional, intellectual and physical disabilities at nonprofit Jewish overnight camps across North America. Laszlo Strategies recently delivered the results of the research (conducted in early 2013), the first of its kind in the Jewish community. The survey garnered results from 170 camp staff members (from 124 camps), 262 parents and 141 campers. FJC is pleased to share that the majority of those involved in camp – including staff, campers and parents – care about this issue and agree that every Jewish child, regardless of a disability or special need, should be able to attend a Jewish camp. Most involved prefer an inclusion model, with clear recognition that not every camp is able to serve every need and that, in some cases, a separate program might be preferable. While the field is making progress in the types and amounts of services offered, there is still more to be done. Below are the highlights from the survey. The full findings are available at jewishcamp.org/research. The field of Jewish camp is serving 2,340-2,590 children with special needs – more than originally estimated. The majority of the special needs population in Jewish camp have neurological disabilities. Few camps are equipped at this time to properly serve children with more significant/complicated disabilities. 43 percent attend public school, four percent of these children attend Jewish day school, and 24 percent attend a specialty school for children with disabilities. Forty-three percent attend a synagogue-based religious school and 47 percent had attended a Jewish day camp. 93 percent of parents were satisfied/extremely satisfied with their child’s experience at Jewish overnight camp. 36 percent of camps offer special programs for this population. 55 percent of camps have a designated staff member (part-time or full-time) to oversee campers with special needs. This staffer engages with the family during the intake process, selects and trains camp staff, acts as a support during crisis situations, communicates with parents and other outside supports, creates and evaluates individual camper plans. Inclusion camp staffs appear to want the non-inclusion staff and campers to have a better understanding of their population. Parents of special needs campers are extremely satisfied with the way camps are infusing Jewish values/learning for this population of campers. The biggest barriers to serving more children with specials needs are not attitudes or wheelchair ramps – rather lack of training and knowledge followed by funding. 47 percent of parents report the cost of overnight camp as a barrier. 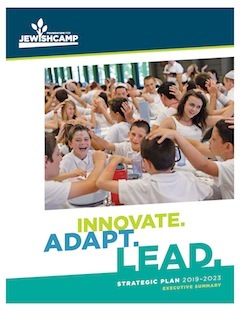 Parents report that the biggest factors in choosing a camp for a child with special needs are that the camp offers good supports and accommodations for children with a disability like my child (43 percent), and it is a Jewish camp, where my child can connect to our heritage and community (34 percent). More camps are serving children with disabilities/special needs than are advertising it to the public through their websites and marketing materials. FJC is currently creating a plan of action to advance the field of Jewish camp in this arena. Sound research and solid data are required in order to make the informed decisions that will move FJC closer to achieving its goal: increasing the number of children attending nonprofit Jewish overnight camp. 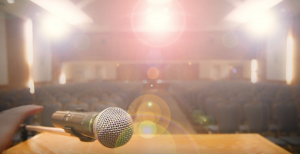 FJC commissions its own research, and also draws on the wealth of knowledge that Jewish sociologists and researchers have contributed toward the understanding of camp and its long-term effects. All FJC-commissioned research and a selection of external studies are available for download at FJC’s website.